Designed by Lucio Curcio for Formabilio, the Pi’gio was born from the idea of creating youthful decor with a touch of humor. Curcio designed a pop object that is easily recognizable, funny, and links form and communication. 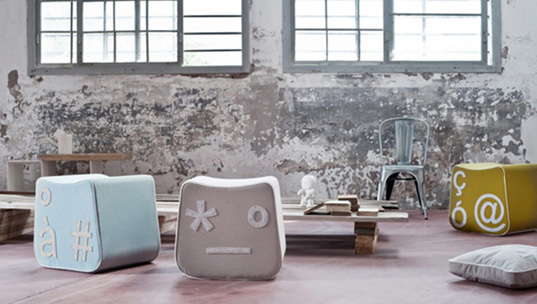 The funky poufs combine together the idea of “emoticon” language and the shape of a computer key, with funny and cheerful colors for a really irresistible result. Comfortable and lightweight, the Pigio also features eco-friendly upholstering.